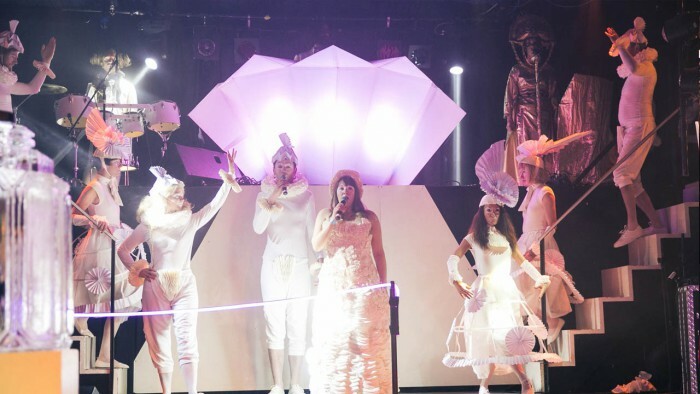 LB curated a series of ritualistic ceremonies for the final show at The Kazimier on NYE 2015 as part of a thematic experience called Planet Kronos. 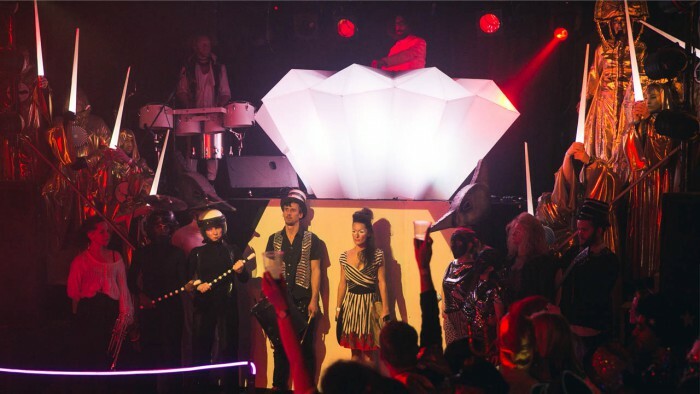 Her performance area was in the club itself dubbed The Cryogenic Crypt. she devised a series of music based and choreographic performances reflecting on the clubs history of events. Is an unmissable star attraction at Planet Kronos where select lucky visitors get to see the immortalised Captain Kronos in his icy grave. Myth has it that a series of ritualistic ceremonies conducted by representatives from cohorts of the 8 elements of Planet Kronos complete a code that melts the capsule and releases our frozen hero, thus dispelling the takeover of The Monotopians. For one night only, Planet Kronos brings you a series of dazzling recreations of the 8th Element Rituals uncovered in the unreleased myths of Captain K.
Collaborators included: Original music by Simon Knighton, Opera Singers: Danny Shelvey and Amelita Mercer, Jacques Malchance, Schismatica, Impropriety, The Super Best Friends, TiLt, Costumologists.